← (Me Sick) Ozil? (I Run) Ramsey? Can Arsenal Afford Both Players? Plus Other Questions as Arsene-L Gives Way to a New era at the Emery-ates. Results so far this season tell us that no team can be taken for granted. We were lucky against West Ham. Wolves stood toe to toe with City costing the champions 2 pts. Man U left Brighton empty handed. No big six team has not been subjected to a nail biting finish by a supposed minnow and this after only three games into the season. Against Cardiff at away we need to gird our loins. From our match against West Ham, the widely held opinion is that Bellerin was the best and the worst in the team. Best offensively, the other of course you can guess. That should make him a recurring feature (in, out, in …) as Emery tussles with the task of formulating a plan for the match against Cardiff City. How does he get Bellerin’s best without his worst. Clearly not by dropping him for Lichsteiner. Pushing him up as our right winger with Lichsteiner behind him would have been a solution except that his effectiveness going forward has been due in no small measure to the understanding between him and Mkhi. That understanding is about the only exciting offensive phase combination that Emery has identified. He would like to keep that relationship intact and look for ways of getting round it’s defensive weakness. A 3-man central defense, to compensate for the pair’s defensive weakness, makes a lot of sense but it’s ripples have never been to Emery’s liking. He’d rather put more bodies in the central midfield. Come to think of it, West Ham were slicing through our midfield like knife through butter and more bodies there would help check that also. A 4:3:3. family appears to be shaping up. Who leads the line, Auba or Laca? It could as well be a toss of the coin. Emery knows that the goals would begin to come for Auba sooner than later and that replacing him now would be interpreted as a vote of no confidence in him. He would choose not to cause that harm. Meanwhile Laca’s restiveness grows, understandably so, for a man with his pedigree. The super sub role, irrespective of whether it is Emery’s joker or not, can’t sit well with the him much longer. Consequently, Emery would give some thought to starting the two of them with Auba shifted to the wide left position. Like us all, he must have recognized that there is an extra verve their combo brings to the team offensively. But balance is always the key. Kept in view he would turn to consider the other options available at wide left. Ozil and Ramsey are better suited to the more central attacking areas. That takes them out of the mix wide left. Iwobi’s excellent performance at Chelsea slumped to an underwhelming display against West Ham making it unlikely that Emery would gamble on him so soon after. Welbeck should excite him. His pace and power and natural ability to press fits his needs. That would make it a straight choice between Welbeck at wide left with Laca on the bench and Laca as striker with Welbeck on the bench. Good selection headache if you ask me. Good bench too. We move down to the midfield three. The chiding Carcedo gave to Torreira after the Chelsea match quickly rid him of his home sickness and brought his charrua coursing through his Uruyuayan veins. With our full backs flying forward, Torreira would be asked to sit in front of our central defenders who have so far been horribly exposed. Guendouzi, I expect, would be given a tad more time to to digest the fact that doing less sometimes is doing more. He sits on the bench but bet on that lad to be back quickly. Xhaka starts as the deep lying playmaker. The leftover in that middle-3, that middle vertical strip of the pitch, the highway to the opposition box becomes Ramsey’s to ply otherwise it is adapted as a 8-10 for the creative Ozil. That means one or the other misses out from the starting line up for this match and maybe for many more, ……. not titans at war, just good depth in the squad. The remaining four positions in the team are filled by Cech, Mustafi, Sokratis and the most consistent of them all that wasn’t named a captain, Nacho Monreal. BENCH:- Leno, Lichsteiner, Holding, Guendouzi, Iwobi, Ozil, Welbeck. It would be nice grabbing another three points. It would be nicer if it is done with a reassuring performance. You see Emery benching Ozil two games in a row? I don’t see that. Very good preview PE! 🙂 Certainly quite a headache. Looking for 3 points tomorrow and hoping that Cardiff don’t spring a Brighton on us! On a related, but non-selection topic, is it just me or have you (all) noticed that we seem to be giving the ball away upfront a bit more than we used to a couple of years ago? Certainly that is one reason for the pressure on the back 2 if everyone is caught up front. Formations can only help so much. Agree Twig – find it hard to imagine him benching Ozil. On his absence the previous game, still give the benefit of the doubt (for now) to Emery when he says that it was due to illness and not a true benching. Swap ozil for the error prone xhaka and that’s my team. Good stuff PE. I agree with the logic. My expectation though is that both Ozil and Rambo start. Which prob means Laca on the bench again. Or a less than balanced pivot. There is an argument for a less defensive pivot combination, given the opposition and their lack of goal threat (thus far anyhow). Two DMs might be showing too much respect as well as leaving us light in the more important challenge of scoring. But maybe that’s where we should start the game and become more expansive if the game development warrants it. You are right about there being no easy games at the moment; all the sides look to have something about them – barring West Ham perhaps. So we can’t expect push overs. Let’s hope one or both of our strikers starts firing soon. Good post PE, and that’s the team I hope to see start later today in Cardiff. It can switch to a 4 4 2 when we’re under pressure with Mkhitaryan tucking in, but we need goals to compensate for our shaky defence, so Aubameyang and Lacazette as a combo has to be the way to go against the poorer sides. Ramsey or Ozil, but not both and I’d go this time with Ramsey against his old team, if Ozil throws a strop then leave him in London and take Nketiah, we’re already 9 points behind Liverpool, Chelsea with possibility of also being 9 points behind Tottenham as well if we lose today and never mind Man City, so no more time for a softly softly approach, it’s time to get down to business. As far as giving the ball away Henry could that by any chance be connected to Aubameyang leading the line in all our matches so far? Twig.and St, …… Emery has to bench Ozil or Rambo or the other way round. If he starts the two of them then he benches Mkhi or Laca. From dressing room consideration non is easy. From point of view of what he needs on the field from the field, its again very dicey. It’s better to believe that Ozil was ill last week.. If on the other hand it was as rumoured, them starting Ozil is displaying a weakness that would get other egos throwing their own fits when benched. That’s a recipe for losing the dressing room. Of course am not ruling out the possibility of him using Ozil. AB,… that’s good logic too about using a more attack minded pivot. But that could as well be a big error on our side starting by underestimating the opposition. Pep quickly substituted Jesus in their match against N. Castle after seeing how they were using the large spaces in the midfield to equalize and threaten each time. If we emphasize not conceding, IMO, we have attackers who are likely to score within the 90 min. Fine margins all.though. Kev, …. am with you all the way. Emery should be the boss of the dressing room. Luckily we have enough depth to call the bluff of any player. Still, my sincere belief is that Ozil was ill.
It’s important we don’t take our eyes off the ball ….. at this moment 9 pts behind some of our rivals. Of course giving Emery time is the reasonable thing to do, but fans are fickle (hard fact) and the best Emery can do is buy time for himself with enough wins. Enough to be within a touching distance of our rivals. The beauty of Xhaka-Torreira is that they can both play defensively and support the attack. I would imagine Xhaka sitting deeper and Torreira supporting attack closer to the attackers… when we are attacking. But both will give us much better shape and discipline when we are being attacked, which you would expect to be the case in away games. I am hoping more than expecting Emery to start with both of them, though. TA, … your line up could end up 11 out of 11. I think we have good depth. And there’s going to be enough game time for everybody. Ahh, just noticed you omitted Nacho in the line up. That’s the one I doubt. Great points PE! Agree with you about the dressing room considerations vs on-field. I would like to think that both Ramsey and MO would not create problems of this sort in the dressing room. But, who knows? Seems to me that Mkhi and bels have a decent inside-out understanding when on offense but have to work on creating a similar understanding on defense. At the moment at least, it would seem to be one of the favored partnerships. Kev – I feel that the loss of the ball in the final third started happening even before Auba’s arrival. We had a pretty good goals-against record in 2015(?) and then things seemed to just fall apart without too much of a change in personnel. If this line of reasoning has any merit, wonder if that will influence who Emery will pick for the front 4 (or 5)? What do you think?. Bench: Leno. Lich. Hold. Elneny. Torreira.. Mkhi. Welb. 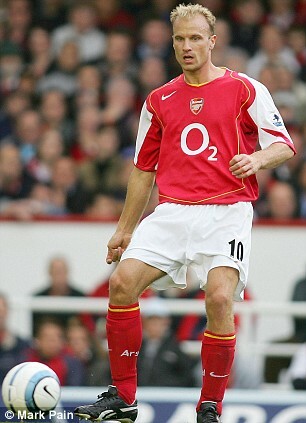 Sorry omitted Ramsey at #10. This is an attack oriented line up. Emery seems to want to live up to his words …. a 5-4 thriller instead of a 1-0 bore. Good preview, PE. I am coming on late and would have agreed with your predicted line up, save for the omission of Ozil; like I stated in an earlier thread, it’s not as if both Ozil and Ramsey haven’t played together in the past, under Wenger, so it all depends on the kind of game or the expectations of the manager. I wouldn’t have guessed Guendouzi would start today seeing as Torreira’s agent tried to release some “irrelevant” piece of information to the public, clearly sending the message his client came to Arsenal to play from the start. The confirmed line up is an attacking one and shows Emery wants to go for it, hopefully the boys don’t let him down with wayward finishing. I only worry about how much cover Auba will be giving Monreal; I’ll even prefer Laca on the wings with Auba top. It’s a game we are expected to win though, and I feel we will. I can switch to decaf early-on this morning. Adrenaline has been dispensed by way of brief panic. Early days yet but Sokratis persisting with playing it back to Cech each time is unnerving for its predictability. Lacazette goes down clutching his left knee. Hope it isn’t something more serious because the irony, after getting his start, will be beyond curious. Cech should have been punished there. He is over doing this playing out of defence thing. He just isn’t comfortable with the ball at his feet. No need trying. Actually ran a well-devised set-piece play short. Shame we didn’t bag the goal. Brilliant connection by Xhaka and Mustafi on the corner. 1-0 to the good guys! Fine goal from a well taken corner kick. You feel we will be best served to go for it with conviction, every chance we get. Goals difference could be a thing down the road. The home side will get opportunities too and no kid gloves needed now. Cardiff’s talent seems to lay in their ability to foul and not be whistled or booked. Serving them pretty well to this point. I don’t know too many teams capable of such dominant control of a match only to go and concede a goal at the dead. Xhaka has unnecessarily misplaced a pass, but afterwards the defending could have been better. When we kept fluffing chances which came our way and not rack up a huge scoreline, it was always bound to happen. Cardiff is the only club in the league that were yet to score a goal; trust our boys to allow themselves be used to set records; first side to concede to Cardiff City, 2018/19 season. I am not pleased with the commitment of Auba, for a man who is yet to score in the league this season. I think he should be show more conviction with his touches, demand the ball more and look to be taking up positions in dangerous areas. I am not sure two of Mkhi, Iwobi or Welbeck would do much worse than Auba and Ozil. Lacazette has been fighting for things; Ramsey has been all effort as well; but we needed to have players asking for the ball upfront instead of the backward passing. Sokratis has to behave himself because you can bet Cardiff will feel more confident and start to target Cech whenever Sokratis has the ball. I am disappointed with some of his apparent cluelessness when he has the ball and is tasked with passing to a forward player. An otherwise easy afternoon is likely going to turn out to be a fight, unless we score early and not look back. Cech should only go long. That thing destabilizes everybody. It triggers nervousness in our defending. We are yet to click. Eris … I think the team is not set up to play to Auba’s strength. He is an extraordinary goal poacher. Outside of that he’s average. Granit ‘misplaced an unnecessary pass’? Only that type of decision exposes our defense for a leveler with approx 90 seconds remaining till half. Lack of situational awareness. Of footballing-IQ. Fine take by Auba off a neat flick from Laca. That’s what I am talking about Aubameyang! Demand the ball, show conviction. 2-1, Arsenal. Now to get a few more…. or, at least, keep what we have. Jw1, it was unnecessary to play such a raking pass when there were players closer to you, and with the clock ticking closer to half time. If that’s what you meant by “lack of situational awareness”, then I agree with you. No need for that pass, given we approached half time. I expect them to bombard us aerially now, but one break away and it will be 3-1. Poor defending and Cardiff make it 2-2. Question mark as to whether Laca did clip Arter for the free kick which resulted in the goal. Hard earned victory. Torreira a must! Cech’s????? Wow.. our midfield is still a work in progress. Torreira fit to start the game yet? But the strikeforce of Ozil, Laca and Auba is very potent so should i say that Attack is the best Defense? Truly hard won; didn’t need to be considering the early chances we had. That well threaded pass by Torreira is the kind you look to see from Ozil, but he seems too careful about keeping ball than trying and misplacing a pass, Ozil. We need that Ozil back, who makes the least anticipated pass. A 3-point day– is a good day. Watched and bitched and cheered. Did Mourinho hire the plane? Which flew over the stadium at Burnley moments ago. ‘ED WOODWARD IS A SPECIALIST IN FAILURE’. There’s nothing sweeter than a win on the road, great atmosphere in the stadium. Ha ha Eris, I will try, that’s all I can promise. First time I’ve been to Cardiff without Arsenal being in a cup final there, away from the city centre it’s a bit of a dull place. 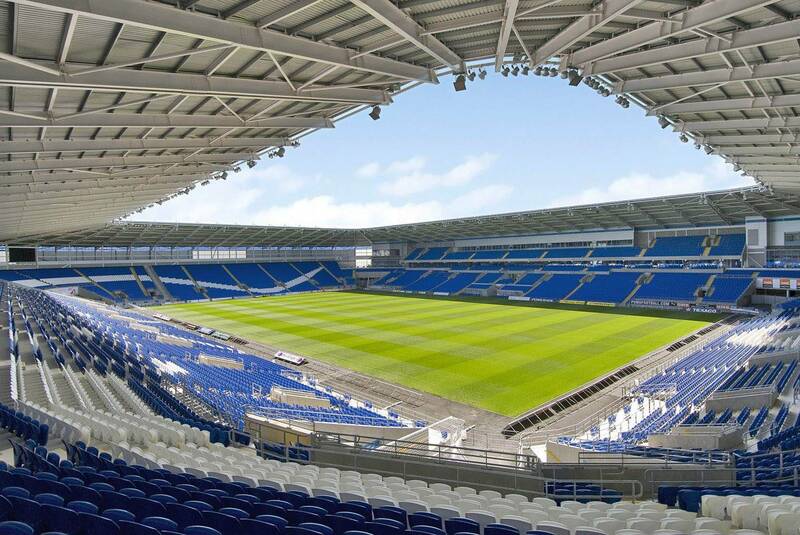 Cardiff City’s new stadium is 10 years old,( I never visited their old stadium Ninian Park ) it’s a very modern, well laid out ground, with very spacious toilets (🙂) we had a great view right along the goal line so had a brilliant sight lines of the Aumbameyang and Lacazette goals and how we got undone for the first Cardiff goal. Now Unai Emery is not an idiot and whilst I can appreciate his wish to implement certain changes to our method of play, I cannot really understand how he can be comfortable with the Fred Karno Army that is our defence as Cech struggles with the ball at his feet and Sokratis continually puts his under pressure. I thought we were supposed to press our opponents but instead we seem intent on pressing ourselves. Eventually, this Unai Emery inspired Arsenal team may play the ball out of defence with all the elan of Man City, but not with the present incumbents and not yesterday in Cardiff, it was nerve wracking on too many occasions, in fact it’s been some of the worst Arsenal defending I think I’ve ever seen. Fortunately the finishing of Cardiff was at the same level of our defending. Arsenal’s finishing again lacked that clinical edge and with the referee ignoring some of the industrial challenges from Harry Arter and friends it seemed only a matter of time before our defence failed to deal with a cross and so it came to pass after another careless pass from a strangely off colour Xhaka, who I thought was slow in almost everything he did. But credit him with a great corner gleefully thumped home by Mustafi. I feared for us in the 2nd half after conceding so late, but we dug in (noticeable improvement) and took a yellow card if the situation needed a bit of street wise play (noticeable improvement). Lacazette and Aubameyang combined and PEA finished with a rasping drive past the helpless Cardiff goalkeeper, the teams celebrations and togetherness was apparent and showed a promising camaraderie in this group of evolving footballers..
Cardiff huffed and puffed and I thought their 2nd equaliser was a foul on Ramsey, the the officials unsurprisingly didn’t agree. In the meantime Torrieira had joined the party and I’m telling you Gooners out there that he’s a special player, he doesn’t stop moving, is constantly checking around him, wins the ball, keeps it simple – no Hollywood Ramsey flicks from him, it’s all about economy and efficiency and his pass to Lacazette for the winner was top drawer, Laca smashed it home from an acute angle with aplomb and we began partying in the Arsenal section. And so another 3-2 win, plenty of hairy moments, some sloppy play still but definite improvements in certain areas and the players seem to be buying into it. Delighted to see Aubameyang and Lacazette get the show on the road. Some great work by Monreal and Torrieira is the business. Plenty to worry about still but plenty to be positive about. Torreira was our most influential player for the stretch he was on the field. Not necessarily for any terrier quality but somehow he gives character to the team. I think he is a very intelligent player, reads the game very well, and is equipped with the right passes, be it short or long. Am beggining to think that sitting him in front of the CD might be underutilizing him. I fell he should be more in the middle of the park conducting the game. He makes everybody’s game better particularly Ozil’s. Our playing out of the back has become the biggest joke globally. See how the opposition fans raise the decibels any time the ball is passed back to Cech, just so as to unnerve him the more. And he looks a pitiable sight, confused, frightened. The Liv keeper warned their fans that those with weak hearts should not watch his audacity. Cech should warn all of us (good heart, bad heart) to desist from watching his timidity. Our response is a plea to him to always go long and stop trying to prove that he can adjust. He can’t. Neither can Sokratis. Sooner than later, this is going to cost us a vital 3pts or more. Maybe we should start playing Leno. In games that we can give away a couple of goals. Anyway, Kev, thanks for your man in the stadium report. Of course watching the team play has always been cardiac intensive, and those who cannot take the load to your heart please be aware of the risks. The trade of in this formation is the loss of the full backs whom Emery uses to give width to the play. That width is now provided by the wide players (not inverted wingers). Meanwhile Laca and Auba would be taking turns dropping deep to help build up play while remaining in that central attacking strip. There must always be a trade off from one system to another and at the end we are probably taking of marginal gains or loses. Unless I missed it you never mentioned Guendouzi? I thought the kid was awesome. Only saw the highlights until now, so not much to add from me as yet. Hopefully more tonight or tomorrow. Thanks PE, you know you just like certain footballers when you first see them and I like Torrieira, he’d only been on the pitch a short time but what he did was quality and as you said adds character to our midriff. 84, I was, and still am surprised that we didn’t start the season with Leno in goal, as PE wrote it’s going to cost us. I feel really sorry for Cech, he’s being asked to do things he’s not equipped for. But that’s down to the manager. Hey Retsub, it was a long day mate, left home a 7am got home at 9pm, I’m not 17/18 anymore lol, I was knackered when I got in, but it was great fun. As for Guendouzi and our midfield in general, I skirted around them a bit, they did some good things but I still saw some old habits, I like Guendouzi, he’s on the move all the time, he can be careless but he never hides and I like that in a player. I was surprised that Mkhitaryan was left out, but Ozil did try to get involved more in things he doesn’t usually do, Ramsey worked hard but none of his tricks worked and Xhaka was good, but zones out too often for me. All departments of our team need attention/upgrades, but for now, 4 games in I’d give Emery 5 out of 10, mainly because of our defence. PE, I’m convinced that many of the top players who were at the World Cup, will hit the wall around the turn of the year, you know niggling injuries like pulls, strains, groins and hamstrings, these guys aren’t machines, so hopefully playing Torrieira in small bursts not only aids his integration but saves him from fatigued related injuries. As our team adapts and Emery makes personnel changes, we’ll hopefully take advantage. Next game is a trip to Newcastle, another very Cardiff like fixture, another 3-2 to the Arse? Hi all.. Nice post PE..
Lastnight is like roller coaster for me.. hehehe..
We still have a big problem with our defense..
Cech almost made a big mistake (blunder), Xhaka did another same error that cost us first conceded goal..
And our strikers must be more patient.. We should get at least five goals if they did so..
And Guendouzi.. maybe also Ozil didn’t play good enough, they must have been replaced sooner..
PE.. I think Bellerin is our most impressive wingback.. So if we played with 3 CB, then he is a must player.. Mhiki is good.. but for WB position I choose Bell..
And I prefer Licht, Mustafi and Sokratis than Holding..
And you can’t drop Ramsey.. We played better than Ozil almost in our fourth games.. But I agree with double strikers.. Auba did a lot wrong passed lastnight.. Maybe he just ain’t great as a winger.. hehehe..
Well writ man-on-the-scene report Kev– thanks. ‘At’s the thing about advancing years–eh? I’ll take the optimist’s tack still. Things could certainly be worse per points-earned. With 11/10 GF/GA– sitting near the magic 5:4 ratio. Projecting 70+ goals shipped (yikes!). Playing with one leg tied back– inviting the press– the slim margin of error makes for cardiac moments. Although our luck seems better this year than last– when every error or or crazy deflection ended up back-of-net. Perhaps UE is charmed. Let’s hope. As until Emery makes changes– being called-for across a more-than-ready Goonersphere? We’ll be riding his current streak of luck. Mea culpa. Tallied yesterday’s goals on to the current total. Iwobi is said to be ill and that was the feedback from Emery, as well, when explaining his absence. That allows Emery have more players to work with during the break, as I expect Iwobi to get better in a few days. Illness story sounds a “diplomatic” one to me. Guessing that Seychelles isn’t a difficult opponent either? JW, growin* old is a pain in the derrière mio amigo, the mind is willing, the rest is not so. Great points 17tino, I dread to think what Liverpool at Anfield will do to us if we do a few quick step back passes with Cech doing a tango whilst Mane, Salah and the man with the magnificent teeth closes him down. They won’t finish like Harry Arter for sure. It’s all very different, but I’m still optimistic as I saw things that were an improvement on last season for sure, not least the fact that we haven’t folded in any of our four games this season. We gave Man City a few problems despite our defence, should have beaten Chelsea despite going down 2-0, and the players seems to buying into it, I’d just like 2 or 3 clean sheets. I don’t see one forthcoming anytime soon, if we allow 2 to Cardiff– who hadn’t scored in three previous versus Newcastle, Huddersfield, and Bournesmouth. Thank you, PE, and just one of the items of the new post. Hey, jw1. I don’t know much about Seychelles’ current strength but they don’t have pedigree. Not too many Nigerians looking forward to anything other than a Win.